Many nonwriters or beginning writers become so caught up in recording the facts, they leave out the heart of the person. First, good autobiographies establish facts and dates, and the authors also open themselves to readers. That is, they enable us to see their motives, which aren't always noble, and show us their pettiness and mistakes. If they show their weak side, we're with them when they write about their achievements. Second, we need to ask ourselves: "Does this belong in the book?" The experience or anecdote may be good, but is it relevant to the theme and focus? Here's an example of what I mean. I wrote a second book with Norman Vaughan called My Life of Adventure. Norman was one of those gifted storytellers and he had enough anecdotes for three books—wonderful accounts—but all of them didn't fit. Here's my favorite. Norman played a minor role in the Battle of the Bulge in World War II. The German encampment was close by and one German soldier, wearing an American uniform, sneaked into the chow lines every day for more than a week. One day, however, someone bumped him and he dropped his tray of food. Inadvertently he yelled out something in German. They arrested the man. He confessed that the German troops were nearly out of food so he risked standing in line. Norman was in the food line and saw it happen. It's a wonderful story, but it never went into the book. It didn't fit with the focus. I leave out irrelevant material. How much we tell has become even more critical than ever. We live in a litigious world and people are apt to sue for any reason. A flip-but-true saying is, "Never underestimate the greed of your friends." They can object to anything you write about them—even the good things. Here are a few of the rules I've set up for myself. "I've tried to tell true stories in this book, but sometimes I had to protect the guilty or shield the privacy of others. When I use a full name, that means I have permission to tell the story. When I use only a first name, it means the story is true, but I've altered a few facts to avoid lawsuits, the loss of friends, or disdain from the person cited." If the individuals are dead, my understanding is that we can write whatever we want without impunity. If we write about people who are in the public eye, publishers have told me that we have more leeway in which we write about them. 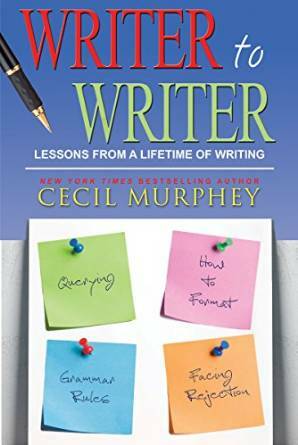 Making Sense when Life Doesn't: The Secret of Thriving in Tough Times by Cecil Murphey, (Minneapolis, MN: Summerside Press, 2012). Unless you're famous or your story has been published, your memory will remain your primary source of information. As you search your memories, even if you're positive of the facts, refer to documents such as employment records, diaries, journals, or police reports. You might check newspapers about what was going on during that period. For example, Dayinhistory.com is a quick way to check events, which may help you recall or add to the richness of your account. Try to get the facts, but don't forget that the emotional reactions are equally important. At times, the words spoken aren't nearly as important as the tone of voice or the gesture. If your neighbor asks, "How can I help?" but has his hands on his hips or his jaw is clinched, that gives his words a different texture. If there are people alive who were part of your story, ask them. My oldest sister wanted to read my book When a Man You Love Was Abused. As she said, "I have my memories and you have yours." She read it and I expected some strong differences. She did something better: My sister told me about an incident that I had forgotten and that enriched my understanding of my painful childhood. I wish now that I had shown her the manuscript before I sent it to the publisher. In writing dialog in nonfiction, we tend to re-interpret events in our lives. The more often we tell an incident, the more it changes—and it's not intentional. For instance, I've heard many stories of drastic changes in lives. If I hear an account shortly after a powerful experience, the narrative is raw, as if the individuals are reliving it. After they've told the story 43 times, the story changes in small, subtle ways. I think of it this way: They have learned life lessons and unconsciously meshed them with the dramatic experience. As we tell our stories, our minds interpret and reinterpret. Our memories are selective and distorting. There's no cure and no excuse. That's how we're made. Here's one way that helped me understand this principle. I've journaled for years. A few times I've gone back to read something I wrote within hours after the events. Five years later, there were things I wrote that I absolutely didn't remember happening or I was positive happened a little differently. My journal says otherwise. Here's a quotation from my journal, and I didn't cite the source: "We read our past like a book out of which many pages have been torn and some mutilated." I try to write honestly, knowing that my memory is faulty. When we write our stories (or read those of others), we have to ask "How accurate were those spoken words?" Not very accurate is the easy answer. Who of us remembers every word of a conversation that happened twenty years ago? or even last week? It's especially difficult when we hear something and only later—perhaps a decade passes—before we realize the significance of what someone said. Most readers are smart enough to figure out that dialog isn't word-for-word accuracy; however, they assume the author strives to be as close to the truth as possible. When I write others' autobiographies, I ask my clients to focus on their feelings and their emotional responses. How they felt is as important as the literal words. * "How did you feel when you faced her?" * "How did you respond when he yelled at you?" * "Did it hurt your feelings when your father . . . ?" * "How difficult was it for you to ask her to forgive you?" but I strive to be as truthful as possible. First-person accounts have one serious defect: They're prejudiced retellings of the facts of their lives. That doesn't mean intentional distortion of facts. It means, "This is my life as I have understood it." After Norman Vaughan and I wrote his second book, My Life of Adventure, an Alaskan citizen wrote me twice to tell me that Norman lied about a few things. I didn't believe Norman deceived, because he was a man of integrity. What may have been true is that Norman remembered incorrectly (or the Alaskan writer did). Norman may have interpreted an event differently from someone else. That's the danger in writing about ourselves. We try to be truthful and honest, but we don't remember correctly, or we may have forgotten, or we misunderstood something we witnessed. I may be mistaken or misinterpret, but I try to be honest. Here's the first question to assess if you decide to write your autobiography: What's the purpose? That is, what do you want me to get from this book? Or more simply, Why are you telling me? The answer can vary but possibly it's to justify your behavior, to exact revenge on those who have hurt you, or to crusade for a cause. You might write to warn others or protect them from victimization. The second question is, What is the theme? Every life has one—or at least it does if you write it. In 1990, I wrote Norman Vaughan's memoir (which is still in print) called With Byrd at the Bottom of the World. The theme was about a Harvard dropout who wanted to be part of history by driving dog teams on Richard Byrd's historic expedition to the South Pole in 1928–1930. Norman, who died in 2005 at age 100, was the last surviving member of that expedition. The story has great historic value. (For one thing, they proved that Antarctica is a continent.) The Norwegian explorer Armundson had reached the pole on foot and Byrd was the first to take off from the ice of Antarctica and fly over the pole. The title also makes it obvious to readers and shows them the limited focus of the book. My second book with Norman was called My Life of Adventure. The title says it was an autobiography. I think of Russell Baker, who was clear on his purpose in writing his autobiography, Growing Up. On a talk show, he said that children ought to know what it was like to be young in the time before jet planes, super-highways, H-bombs, and the global village of television. He had a purpose and theme and stayed with them. If I write about my life, I will have a purpose and a theme. The first and most obvious way is to tell the story chronologically. Here is what happened and in this order. You set up the story with events that led up to the major occurrences or achievements. A few times I've started with a prolog—set up a powerful event which brought readers to a dramatic point, and withheld the crucial information until later in the book. That was to build suspense. Even so, the books are chronological. The second method is to teach readers about some aspect of life. Your life experiences become the anecdotal material. You don't have to follow a time line of events. You illustrate from your life at the pertinent points. In my previous blog, I've mentioned Don Piper and 90 Minutes in Heaven. 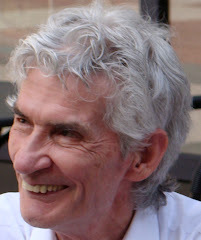 That book follows Don from the car accident in which he died, to his being prayed back to earth, to his 34 surgeries and ongoing daily chronic pain. I've done three additional books with Don. The second one, Devotions Inspired by 90 Minutes in Heaven, contains 90 stirring accounts of people who were affected by his story. The book tells stories that touch the heart. A nurse read the first six chapters of 90 Minutes to a dying solider in Iraq. Don soothed a mother's anxiety because she felt her dead son would have no one waiting for him in heaven. The time sequences weren't important. The third book we did, Heaven Is Real, was a how-to book—simple guidance and suggestions based largely on Don's experiences. We wanted to teach people how to adjust to life after it has turned upside down. We had planned to call it The New Normal. That term wasn't a cliché when Don suggested it, but the publisher wanted the word heaven in the title. That book was sometimes chronological because we were taking readers forward from the old way to the new normal. A third method—which I don't recommend—comes from advice I still hear editors give: "Write your autobiography as a novel." It rarely works. 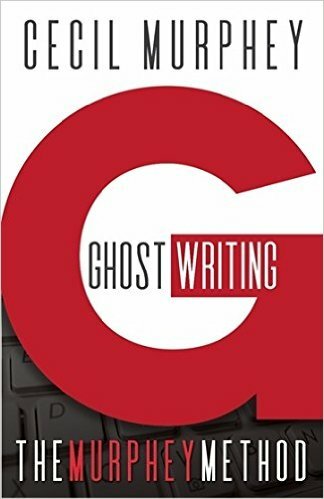 Most people who write nonfiction aren't novelists. The techniques and skills are different. The cliché probably holds true that most first novels are autobiographies. That is, the writers use their experiences as the foundation for the novel and invent portions to further the plot. Fiction is their strength and that's why it can work for them. or I can use my life experiences to teach others. 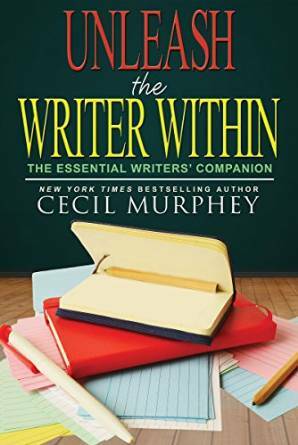 Cec's new book for writers, is now available through OakTara. What Kind of Autobiography or Memoir Sells? The following words may sound harsh, but they're a fact of publishing reality. Unless you're already famous, who cares? You don't have a saleable book unless you've done notoriously evil deeds, such as you were a con artist who stole millions from unsophisticated investors, decided it was wrong, returned the money, and now you work with federal agencies to catch other thieves. Your friends may urge you to write. If you speak, your audience may tell you the same thing. But they're not publishers; they don't know what sells. Ordinary people do make great stories, such as Don Piper, but he did extraordinary things. With the proliferation of social media and the Internet, we can read hundreds of poignant, one-time-event stories. if they do out-of-the-ordinary things.